It depends on the specifics, including what restrictions on sales the buyer is willing to accept and the strategic relevance (if any) of the deal. I've purchased XRP, usually using bitcoins, on Kraken, Bitstamp, Poloniex, and Bittrex and never had any significant issues. Yes. The first sentence was talking about what happens if you don't make that assumption and the second one about what happens if you do. XRP II does do wholesale XRP to partners and institutional investors. These are accompanied by various agreements that tie them to performance and limit their ability to sell the XRP too quickly, too soon. I think there are a few reasons that you should find increase XRP-II sales a good thing and only one reason why you would find them a bad thing. I'll start with the one reason they're a bad thing -- compared to the sale not happening, they will increase the supply of XRP at least to some extent. Even with the limitations, XRP in Ripple's hands still is zero supply. Here are a few reasons they're good things: 1) Many of these deals are cases where Ripple believes that incentivizing partners is good for the ecosystem. 2) Compared to Ripple selling on the open market, these tend to create less immediate supply of XRP. 3) Ultimately, less XRP being in Ripple's hands means less future supply. Since that future supply is, at least to some extent, priced in, reducing it should reduce some downward price pressure. 4) Institutional investors buy XRP because they think it's going to be worth more in the future. Institutional sales build market confidence. 5) Many of these deals mean more money for Ripple, which Ripple uses to hire employees, sign up partners, do regulatory outreach, and so on. To date, none of that money has been used to pay dividends to investors. It has all been retained and/or used by Ripple. Ripple's long-term goal is to maximize the value it gets from its XRP. Ripple is just a user of XRP, not an issuer. Ripple received its XRP in exchange for stock and other consideration. 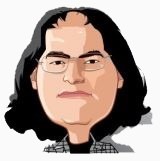 XRP existed before Ripple, the company, did. Those who issued the token (Arthur, Chris, and Jed) created Ripple. If that doesn't count as discharging that responsibility, I don't know what does. Ripple is now controlled by its Board of Directors. Given the time at which this happened and the uncertain legal framework at the time, this was pretty much the only way to do things. When you hold any asset other than USD on the Ripple ledger, someone owes it to you. You have to choose to trust that person to owe you the money because an IOU from a random stranger is not something you want. So you need to know who is going to owe you the USD and you need to make a conscious choice to trust them. We're going to transition to using validator manifests at the same time. This will improve validator key management significantly and also make it much easier to recover a possibly failed validator. Everyone is missing the big picture - Focus of SWELL is on ILP and not XRP!!! I think it's a turning point that we've been heading towards for a long time. But it's definitely possible that the incentive made an immediate difference. Imagine if that deal had worked out though. You also have to consider that we have evolved considerably since then. I don't know that I checked every one of them, but I am active in that Discord and the ones I checked were me. Will RippleNet Accelerator program act as a dilution of xrp? If you want a cryptocurrency that doesn't have anyone with the resources and incentive to spend money to promote its use, there are plenty of them. Any time the amount of XRP held by Ripple goes down, there is some dilution of XRP. If Ripple is releasing XRP in a way that doesn't produce direct revenue for Ripple, it would be because we believe the upside (in growing the network and incentivizing adoption) exceeds the downside (in dilution). Of course you can disagree with our calculations. There is no guarantee or insurance of any kind. The value of XRP is entirely based on what people are willing to pay for it on the market. How would that work though. I receive a million dollar payment from Thailand and then I want to wire the money over a conventional domestic payment rail. What does the central bank digital currency do that we don't already have? We can already move USD and THB easily. This looks like just a payment system. Ripple is building payment systems because the existing ones aren't good enough for our use case. If someone else wants to do that for us, that's just one less thing we need to do to execute our XRP strategy. Unfortunately, I really can't disclose more than I have already disclosed. But I think I definitively shot down any "Ripple has to sell XRP to pay its employees and keep the lights on" claim, which make us very different from any ICO. The page was recently redesigned to work more efficiently internally. I suspect something went wrong in that process. I reported it to the appropriate people. If you have access to a machine with node.js and npm, it's just about five lines of code: Save that as "coldwallet.js". Type "npm install ripple-keypairs" (ignore a warning about no package.json file). And then type "node coldwallet.js". Boom, you have a secret/account pair. For extra paranoia, run the tool a few times and don't use any of the first few results. Does Rippled limit the length of payment path? You can use any destination tag you want or no destination tag. The destination tag just tells the recipient how to credit the payment. Since you're the recipient, you can tell yourself anything or nothing.